Electronic components and systems (ECS), based on electronic and ICT technologies, have an impact on all industrial sectors and almost all aspects of life. The ECS Value Chain stands for everything “smart”, based on designing and manufacturing semiconductor chips, sensors and actuators. By utilising integrating software and specialised interfaces that bring them to life, it creates the essential building blocks for the IoT (Internet of Things) and future Systems of Systems. 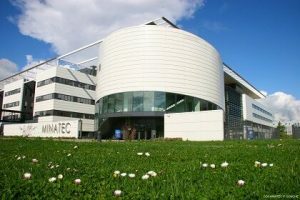 Together, technologies for nano-electronics, smart systems integration, embedded intelligence and cyber-physical systems all play a dominant role in creating innovative, smart, connected, yet secure products, powered by sustainable and efficient energy sources. These products enable many applications that improve mobility, health and wellbeing and quality of life, as well as supporting the creation of a smart competitive industry in our increasingly digital economy. 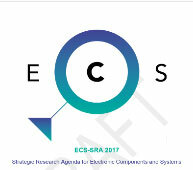 Several SiNANO members are involved in working groups devoted to the different chapters of the ECS Strategic Research Agenda, which focusses on short and medium term applications.